An easy-to-use guide with tried and tested methods suitable for boys and girls. 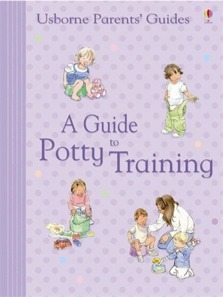 Includes advice on how to tackle problems that may occur along the way so potty training can take place with the least mess and stress possible. Internet-links to websites with colouring pages, video clips, songs and reward charts. Written in collaboration with leading baby and child experts. Am thinking about training my 4th child. I was pleasantly surprised with the material in this book and even found ideas I had never heard of or thought of. This is a book I would recommend. I like that everything is presented as that you (the parent/caregiver) need to keep positive and to make sure you have the time and the motivation to follow it through.